Round 2 Choice Enrollment is open - apply now! Day Without Hate is a day to promote nonviolence, unity, and respect within our school. Started after the tragedy at Virginia Tech, Day Without Hate was created by Colorado students to stand together and say NO to hate and violence. We will be celebrating Day Without Hate on Thursday, April 25, 2019. Shirts will be distributed during access on Monday, April 22nd. Academic achievement is determined by “exceeding” expectations on the school performance framework used by the state to evaluate schools. Deer Creek is one of 32 schools in Jeffco to receive the award this year, and most notably, Deer Creek is one of only two neighborhood middle schools who received the award in Jeffco. We’d like to thank our students for demonstrating what they know and are able to do on the CMAS state assessment last school year. Thank you to families for valuing your student’s participation in the CMAS assessment. At Deer Creek, we do use the data to create school-wide goals, team goals and individual student goals. Last school year, our participation rate for CMAS was 98.5%, allowing us to exceed the 95% participation rate required to be eligible to be awarded. 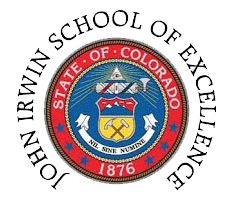 Deer Creek has received the John Irwin School of Excellence Award for three years in a row as a direct result of the enduring commitment our students, staff, families, and community have in ensuring quality learning and viable means to demonstrate the learning. Deer Creek Middle School is unique in Jeffco, serving both the Chatfield community and the surrounding areas with two academic programs: Humanities and STEM. Both programs support the competencies of the Jeffco Generations Vision, but each has a distinct focus and learning environment to appeal to learners of different strengths and interests. With over 50 exploratory, elective, and support classes available to students in 6th-8th grade, Deer Creek also offers the widest selection of elective programming among middle schools in Jeffco. Our philosophy is that middle level learners need both opportunities to explore a range of electives, as well as avenues to focus on specific interests.